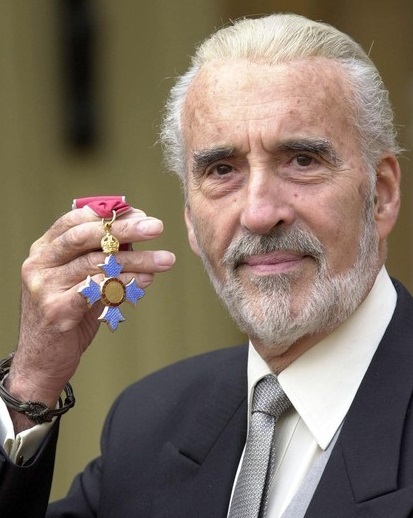 Sir Christopher Lee died, earlier this week, at the age of 93. Lee would be involved in 5 Holmesian films, playing 3 different characters. In the 1959 film, Hound of the Baskervilles, Lee would play Sir Henry Baskerville. Three years later, Lee would play Holmes in the German film Sherlock Holmes and the Deadly Necklace. Lee would play a very svelte Mycroft Holmes in Billy Wilder’s Private Life of Sherlock Holmes. Lee would again play Sherlock in two 1990 films, Sherlock Holmes and the Leading Lady and Incident at Victoria Falls. 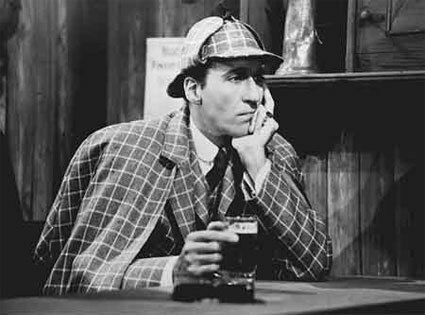 For more about Christopher Lee’s acting career, the folks at I Hear of Sherlock Everywhere posted a nice tribute. Lee was appointed, in 1997, as a Commander of the Venerable Order of Saint John. 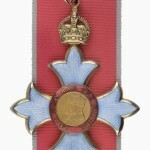 The Order of Saint John is a royal order of chivalry, first constituted by royal charter from Queen Victoria in 1888. The world-wide mission of the Order is “to prevent and relieve sickness and injury, and to act to enhance the health and well-being of people anywhere in the world.” The order’s approximately 25,000 members are mostly of the Protestant faith. 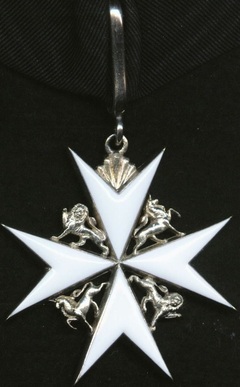 The 57.2mm badge, consisting of an eight-pointed Maltese Cross (embellished in the four principal angles alternately with two lions passant guardant and two unicorns passant). The badge is enamel, with a silver finished back, and is worn on a 16.5mm wide black ribbon at the neck. 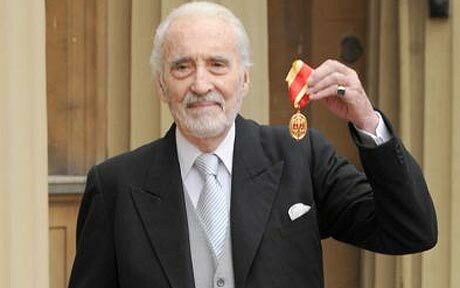 Lee was appointed a Commander of the Order of the British Empire “for services to Drama,” as part of the Queen’s Birthday Honours on June 16, 2001. 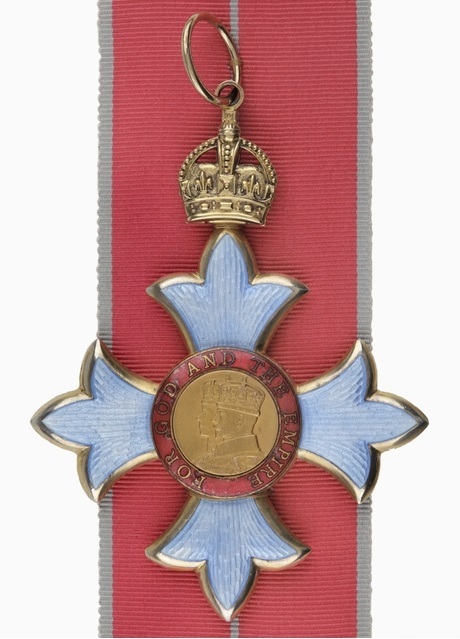 The badge is in the form of a cross patonce (having the arms growing broader and floriated toward the end), the obverse of which bears the left facing busts of King George V and Queen Mary; the reverse bears George V’s Royal and Imperial Cypher. 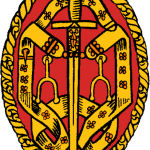 Both are within a ring bearing the motto of the Order. The badges are enamelled with pale blue crosses and crimson ring, and is suspended from a ribbon that is rose-pink with pearl-grey edges, with the addition of a pearl-grey central stripe for the military division. Lee would again play Saruman the White, in The Hobbit film trilogy from 2012 – 2014, although he would not appear in the second film. 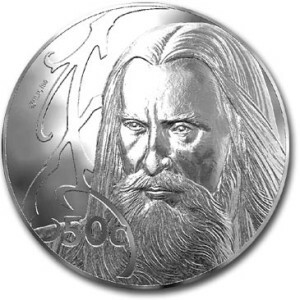 New Zealand again issued a series of coins promoting the movies. 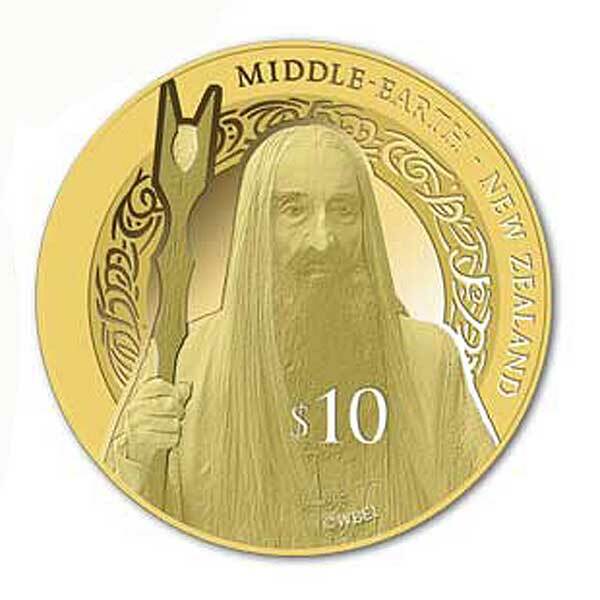 Lee’s character of Saruman would be featured on the reverse of a one ounce gold coin with a face value of $10. 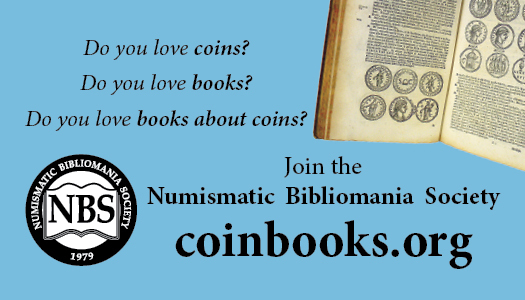 Only 250 of these coins were minted. In conclusion, we present the following video of Christopher Lee portraying Mycroft Holmes in The Private Life of Sherlock Holmes.